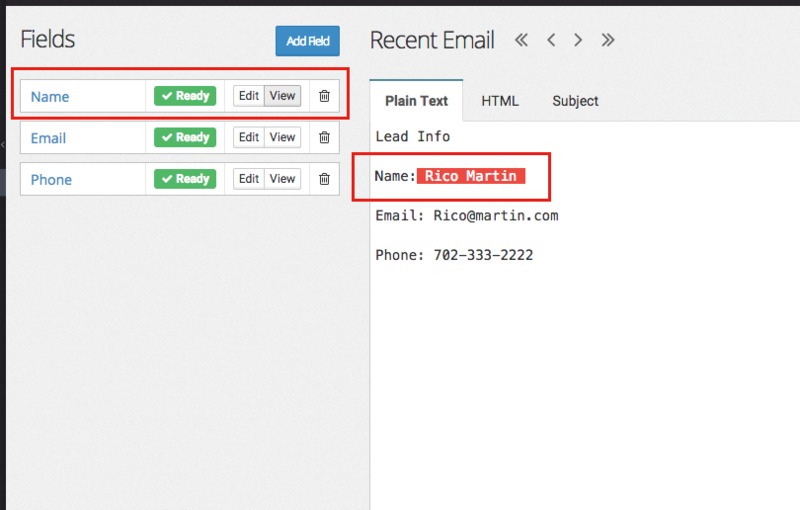 Grabbing the first and last name from an email is easy but sometimes it can be tricky, especially if you have no control of the information people enter. 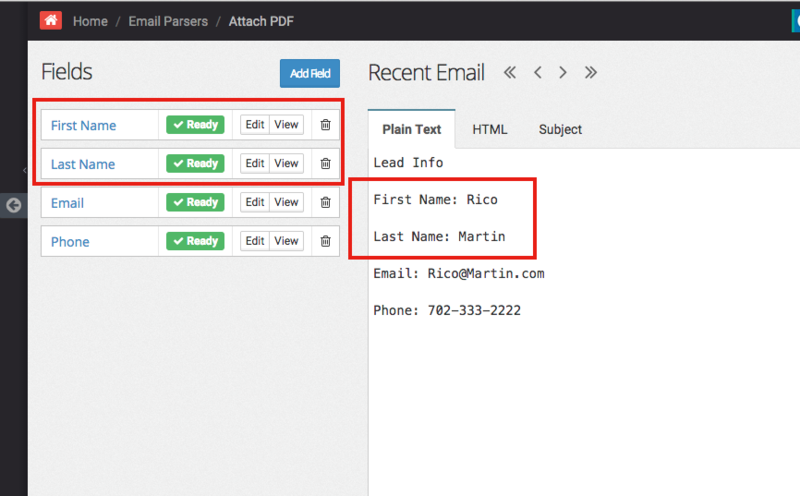 Having the first and last name in two separate fields works if they are in the same spot every time but many times the email coming in might only have a first name or might have a middle name. This article will help you account for all the different name variations people might input. 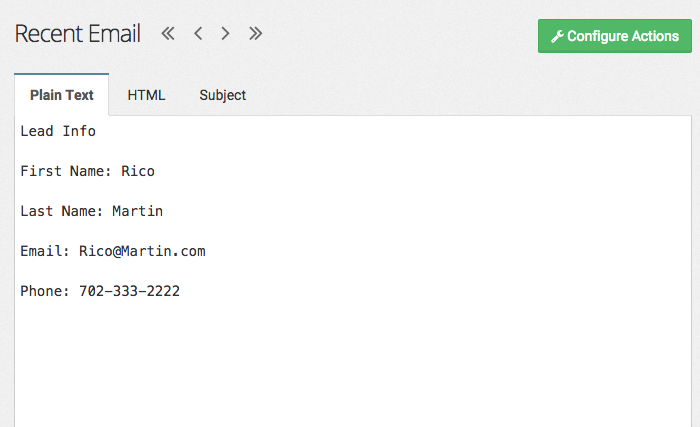 If the email is formatted similar to this then mapping the name as First Name and Last Name will work perfect. Your fields should look like this. 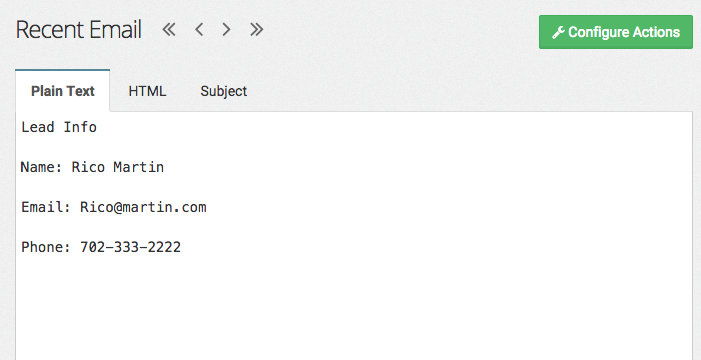 If your email is formatted similar to this then follow the steps below. 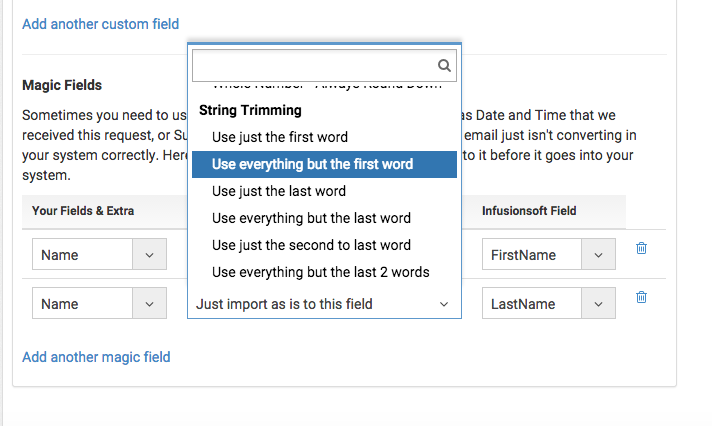 Add a field labeled " Name" and map the first and last name to it. Go to your actions page. 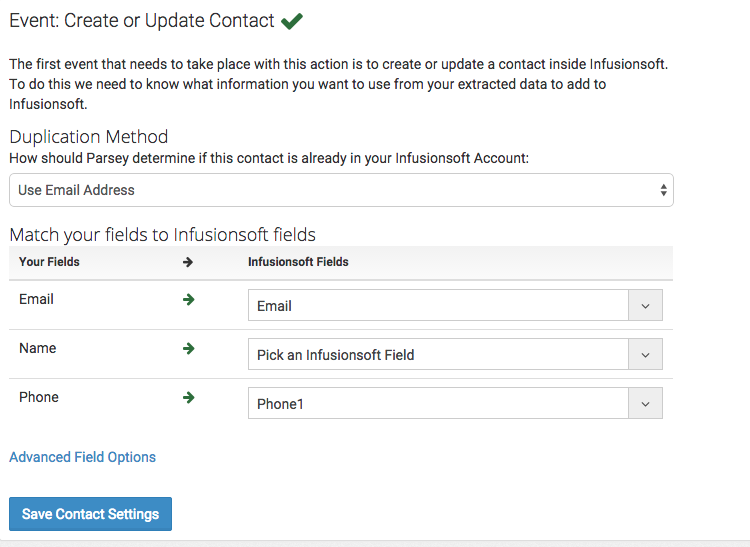 Leave the name field as is and do not map it to anything in Infusionsoft. 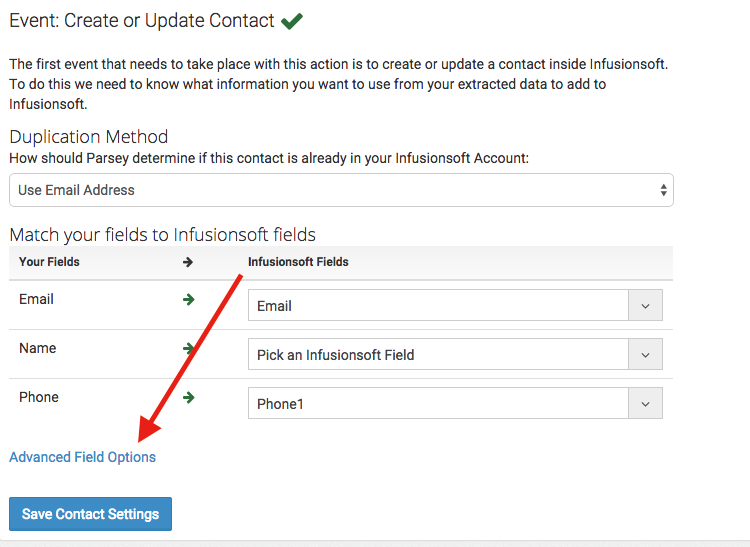 If you have already mapped it then change it to " Pick an infusionsoft field" or "Skip this field for this event"
Select the " Advanced Fields Options"
Go to the " Magic Fields" area and far left box find the Name field we created. 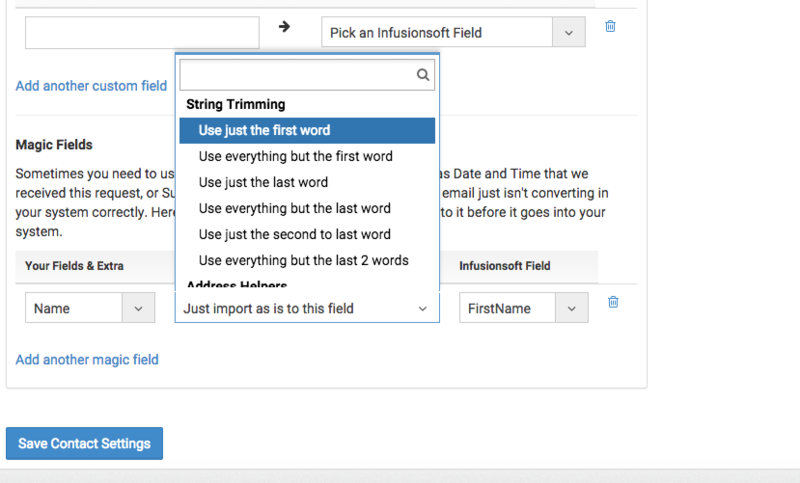 In the middle box select the trimming option "Use just the first word" and the right box select the infusionsoft field First Name. That is it and do not forget to select " Save". Following this article will help you account for all the various way a name might come in.